Bruschetta means abbrustolito which is translated to lightly burned with the fire. And that is exactly what the bread goes through before being topped with whatever your heart desires. 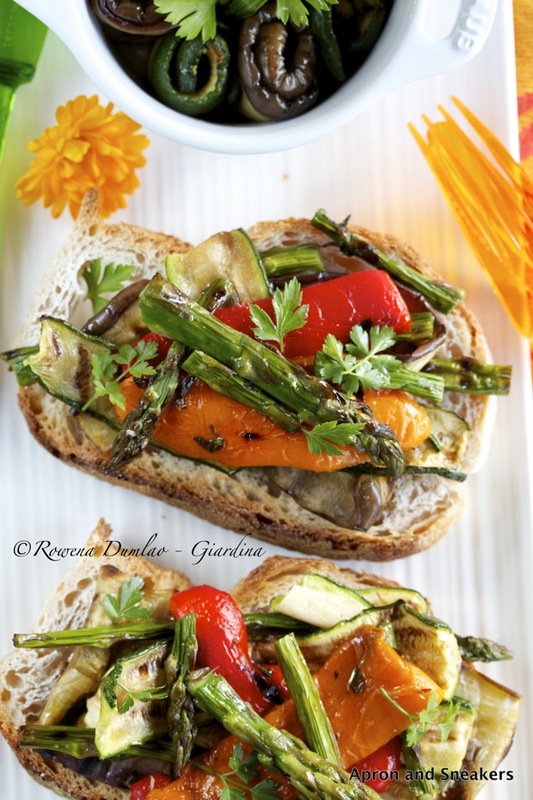 Since the grill is on, vegetables cooked on the fire are perfect to pile up on your bread. 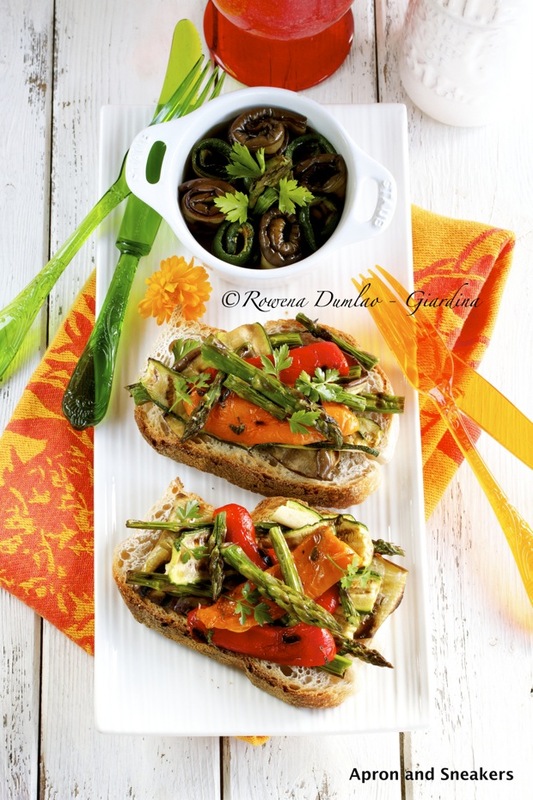 It's one of the simplest and healthiest way to enjoy the fresh produce in Italy in summer. 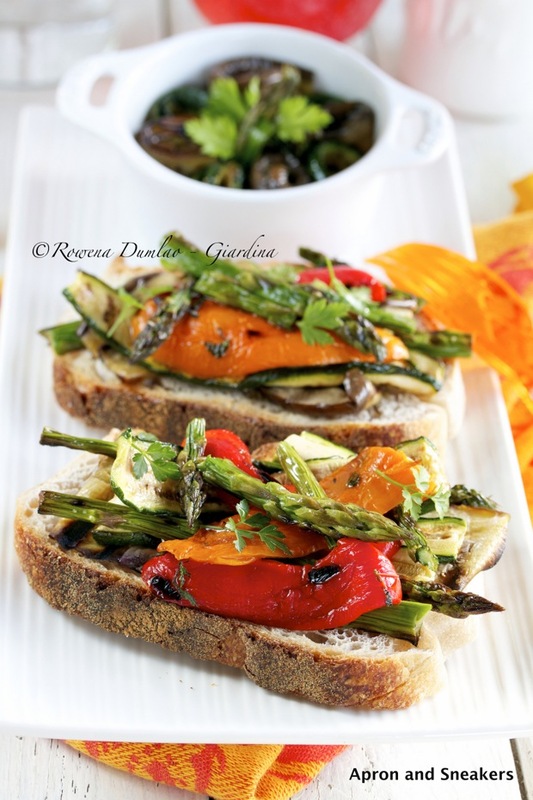 But if a calling for grilled vegetable bruschetta arrives in the colder months, simply turn on the oven or the stove-top griddle and grill away. That's how we do it at home too. Just change the veggies according to season. It's the best way to celebrate good and simple food. No frills. Buon appetito! You can access the recipe if you click on this link. It will take you to She Knows, a site where I develop recipes other than in my blog. If you want to see the list of recipes that I have created for them, please click on this link. Thanks!